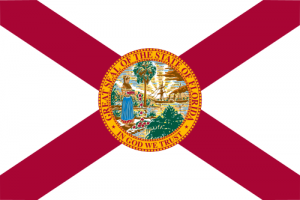 The Florida Public Records Law, or Government-in-the-Sunshine Law, requires that government agencies preserve public records regardless of physical form. (12) “Public records” means all documents, papers, letters, maps, books, tapes, photographs, films, sound recordings, data processing software, or other material, regardless of the physical form, characteristics, or means of transmission, made or received pursuant to law or ordinance or in connection with the transaction of official business by any agency. 1) Facebook: The Attorney General’s Office has stated that the placement of material on a city’s Facebook page presumably would be in connection with the transaction of official business and thus subject to Ch. 119, F.S., although in any given instance, the determination would have to be made based upon the definition of “public record” contained in s. 119.11, F.S AGO 09-19. To the extent that the information on the city’s Facebook page constitutes a public record, the city is under an obligation to follow the public records retention schedules established by law.